If we needed further proof that Google remains committed to wearables, here it is: the tech giant just paid Fossil Group $40 million (about £31m, AU$55m) for unspecified smartwatch intellectual property (IP) that the company had been developing. As part of the deal, some of Fossil Group’s R&D team that had been supporting the tech IP will join Google, according to a press release. The latter company won’t be making off with everyone, the release noted: Fossil will still have 200 R&D employees on the books. The acquisition is intended to help the wearables space as a whole, TechRadar gathered after reaching out to Google, though the company wouldn't specify further. The tech isn't related to any Fossil smartwatch currently on the market, A Fossil Group spokesperson confirmed to TechRadar. What we do know: Google and Fossil Group will coordinate to develop this new technology in the form of a new kind of product. But the tech could be based on something Fossil had itself acquired several years ago. The deal will lead to the launch of "a new product innovation that's not yet hit the market," McKelvey told smartwatch site Wareable in a separate interview. According to McKelvey, this new product line will be based on tech Fossil developed from what it acquired when it bought Misfit in 2015 for a reported $260 million. Misfit is known for its stylish and uniquely-designed fitness trackers and smartwatches, like the Shine 2, a pod-shaped tracker you could pop out of its wristband to attach anywhere on your clothes using an included clip. Fossil Group aims to release multiple devices across its brands that will integrate the new tech, McKelvey added. It seems like Fossil will get the first crack at new products before the new tech is opened up to the greater Wear OS product community. The latter point was echoed in comments Stacey Burr VP of Product Management at Wear OS made to Wearable. "We saw some technology that they were developing that we thought could be brought out in a more expansive way if Google had that technology, and was not only able to continue to use it with Fossil but bring it to other partners in the ecosystem," Burr said "It's about bringing great features to the widest numbers of on-the-go consumers." Burr wouldn't elaborate on whether this tech would be used for Google's much-rumored Pixel Watch. The company's smartwatch hardware was thought to be timed with the Pixel 3 and Pixel 3 XL launch event, but never made an appearance in 2018. 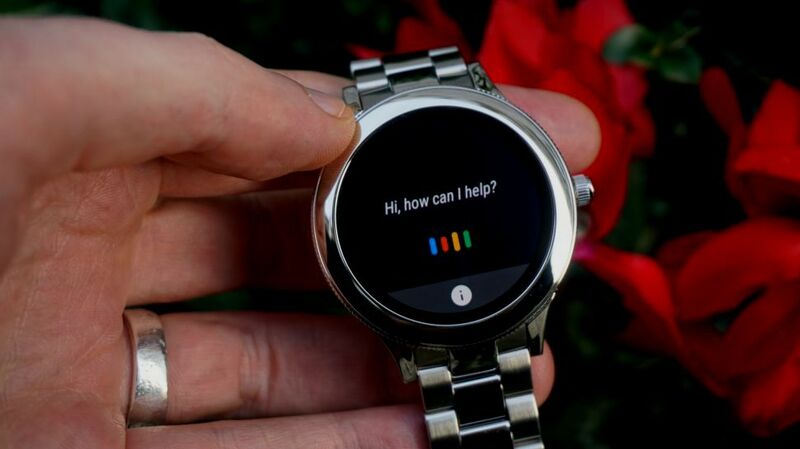 Considering the new tech is coming to all of Wear OS, though, it conceivably would come to Google's hypothetical wearable. The transaction is expected to close sometime this month, according to the press release.